The key objective of the Accounting Cycle process is to collecting the required material that includes information, facts and figures to prepare a set of financial statements. It is a part of the practice that an accountant follows a series of necessity steps each period to prepare and adjust the financial entries or statements. The key objective of this particular process is always to collect the required material that includes information, facts and figures to prepare a set of financial statements. Together these phases make up the accounting cycle. The term originates from the fact that the steps are repeated each period. 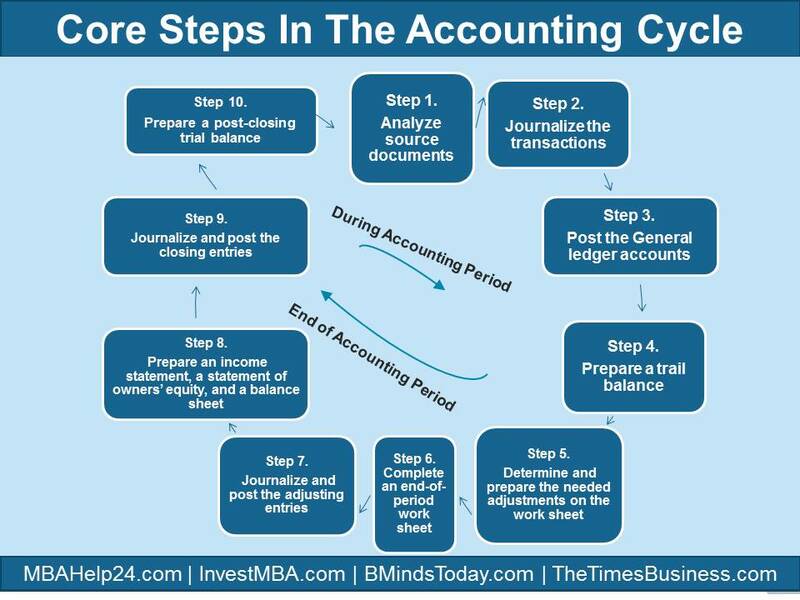 The steps in the accounting cycle are shown in the following diagram. Keep it in mind that step one involves not only collecting information but also analyzing it. Transaction analysis is probably the most challenging of all of the phases in the accounting cycle. It needs the aptitude to think logically about an event and its effect on the financial position of the entity. Once the transaction is analyzed, it is recorded in the journal, as directed by the second step in the demonstration. The first two stages in the cycle take place continuously. In a manual system, entries might be posted daily, weekly, or even monthly depending on the amount of activity, in a computerized accounting system, posting is likely finished automatically by the computer each rime a transaction is recorded. The “end of accounting period” phase starts from “trail balance” process, in which a trail balance is calculated to prove that the sum of the debts is equal to the sum of the credits. Following the trail balance phase, adjusting entries are made for accrued and deferred items. Then the process of “adjusted trail balance” phase starts, in which a new trail balance is calculated after making the adjusting entries. Consequently the financial statements are prepared. From then on the focus shifts to “closing entries” phase, in which it transfers the balances of the temporary accounts. Finally, a trail balance is calculated after the closing entries are made. The above discussed steps are involved in accounting for all the business activities during an accounting period. 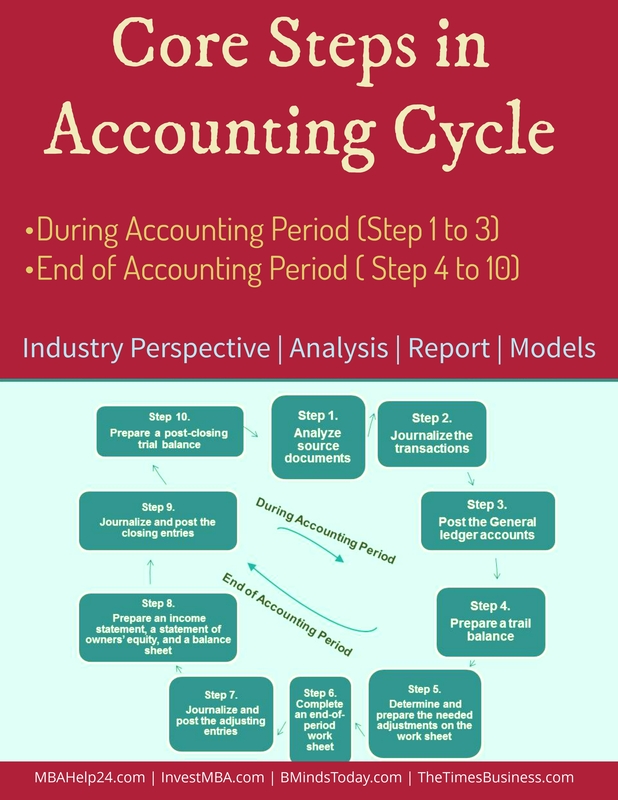 The accounting cycle at all times initiates with the analysis of source documents and finishes with a post-closing trail balance.